The full Parent’s guide to the Aleph Bet can be collected free of charge from the Campus Admin Office for anyone who would like. 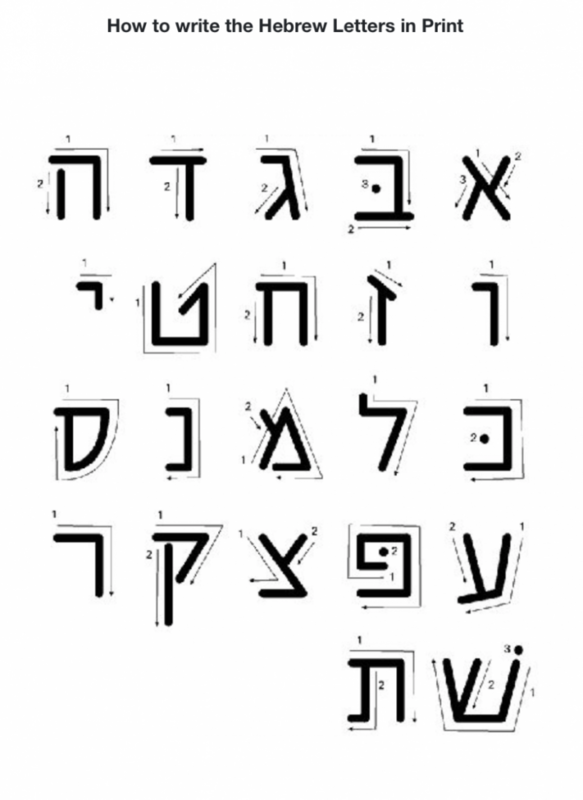 It takes you through the basics of the Aleph Bet and if followed correctly gives you the tools to be be able to decode Hebrew words independently. The word shalom, often the first Hebrew word many people hear, means ‘peace’ and is used as a greeting. 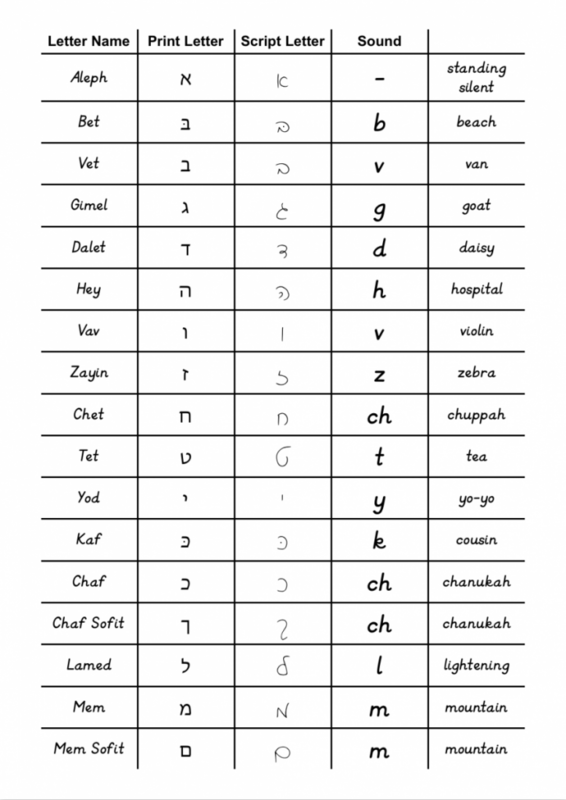 We are now going to look at the Hebrew alphabet. It may seem daunting at first, but if you go through it slowly it should soon make sense. 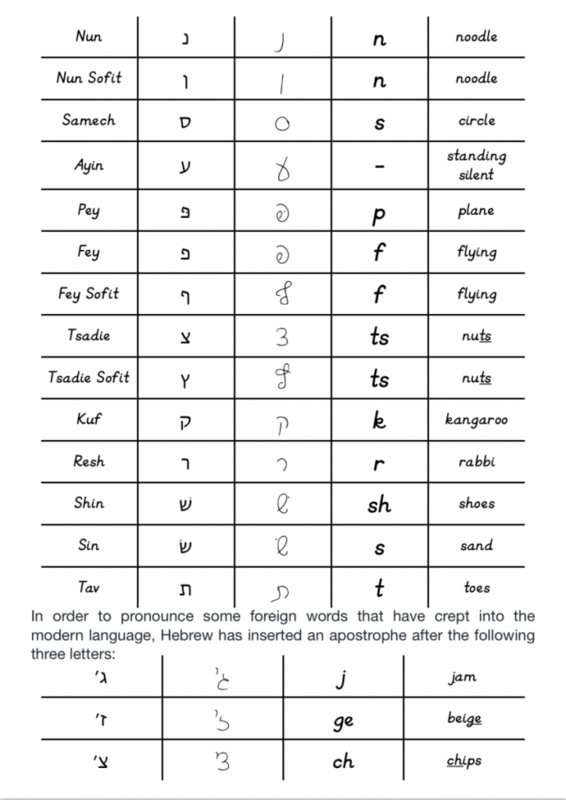 The following chart includes the letter name, the printed and script forms of the letters and the pure sound the letters make. There are various ways to remember the letters; one way is to look at the letter, read the corresponding transliteration and try to create an image to relate the two. 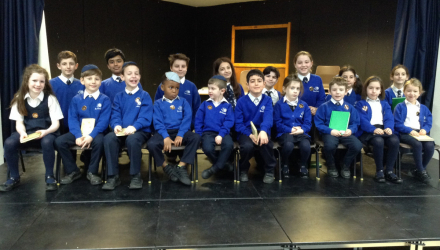 In school we work with the children to introduce mnemonics such as ל (lamed) for lightening. This way makes it easier to quickly memorise the sounds the letters make. However, everyone learns differently! Pick a way that suits you. We use the following videos found on YouTube to help the children remember the sounds. For more Aleph Bet Resources please click here!